We strive to supply painting and decorating services in Wimbledon and surrounding areas with a professional, reliable and friendly service every time! Are you looking for decorators near me? We have great customer satisfaction from all our clients in Wimbledon and surrounding areas, just take a look at some of the testimonials below! Are you looking for a painter decorator in Wimbledon? 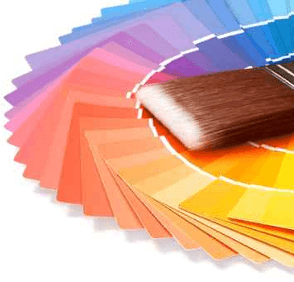 With over 25 years of experience, we are the premier painting and decorating company in Wimbledon. We specialise in all interior and external painting and decorating requirements for domestic and small business clients. We are a family run business who has the experience and ability to provide you with a stunning service that will cover all of your requirements. Graham completed the work to an excellent standard. He was knowledgeable, friendly and helpful, going out of his way to open a long painted-shut window and removing a redundant satellite dish for us at no extra charge. We would highly recommend Graham and will be using him again. G Barley Painters & Decorators are local painters and decorators for south west London. We have a wealth of experience in the painting and decorating trade, a competitive pricing structure and we provide free quotations. We cover all areas of South West London, despite primarily being a decorator in Wimbledon.We pride ourselves on the high quality of our workmanship and finish that we apply to all jobs, from this we have built up our reputation as the leading painting and decorating specialists throughout the local areas. All of our tradesmen are fully qualified and certified in their respective areas and always work in a professional, reliable and trustworthy manner, inspiring our clients with confidence and giving them the peace of mind that we will provide a truly outstanding service. Call today for Wimbledon decorators near me. G Barley Painters & Decorators have been members of Checkatrade.com for over 17 years. We have received a proud score of 9.86 out of 10. Reviews are scored on reliability and timekeeping, tidiness and workmanship. Please click on the logo to view our profile, full gallery and customer reviews.